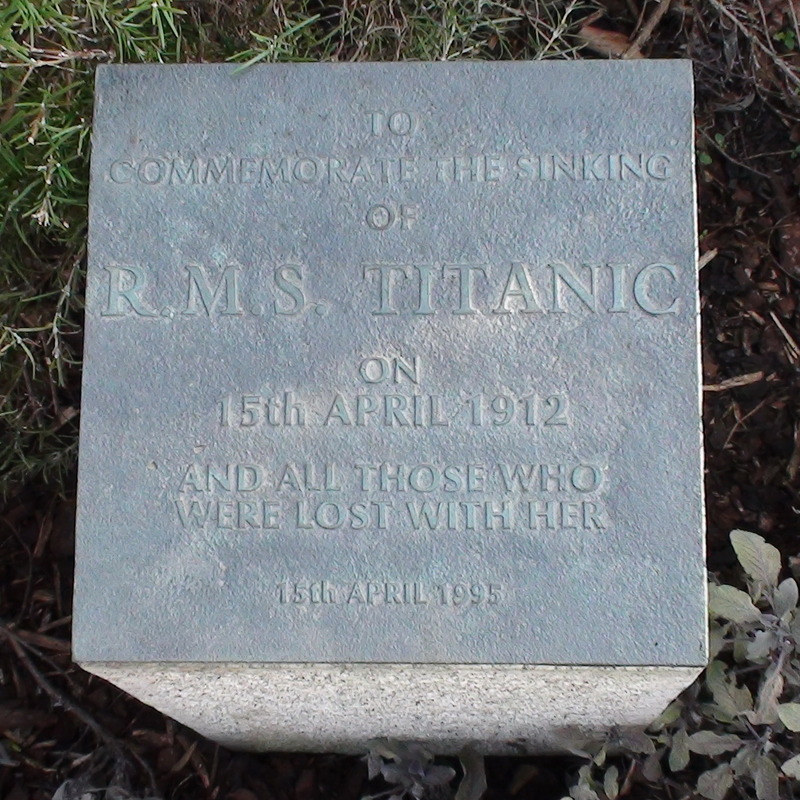 To commemorate the sinking of R. M. S. Titanic on 15th April 1912 and all those who were lost with her. 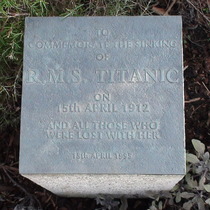 "The Titanic Memorial Garden was established by the National Maritime Museum to commemorate the sinking of RMS Titanic on 15 April 1912 and all those who were lost. The original garden was officially opened on 15 April 1995, the 83rd anniversary of the sinking, by Mrs Edith Haisman who survived the disaster when she was fifteen years old. The garden contains traditional plants of remembrance; Rosemary, Purple Sage, Irish Golden Yew and Peace Roses. The monument is crafted from Cornish granite, conventionally used as ships' ballast, and the plaque is bronze." Just a little strip of garden about a yard wide and a few yards long - a not-so-titanic Titanic Garden. For such a major tragedy this seems a rather insignificant memorial. There are substantial memorials elsewhere, in more relevant locations (Belfast, Liverpool, Southampton, etc.) so one wonders why there is anything in London at all.